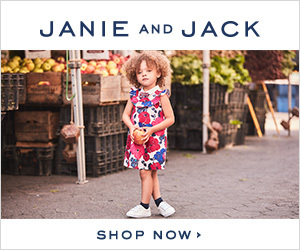 This weekend you can save an extra 25% off your entire purchase at Janie and Jack with code JJEXCLUSIVE! This sale ends on Sunday October 5th and sales are limited for certain items. You can also get free shipping with any purchase of $100 or more! Click below to start shopping!